Half-way between Swansea and Brecon, Craig Y Nos Castle is an excellent venue for your Wedding in Wales and also for Dog Friendly Accommodation and Accommodation in South Wales. With some great accommodation deals to choose from, Craig Y Nos Castle is the perfect place to stay. There are loads of excellent walks in the Brecon Beacons National Park and all our B & B deals include full cooked breakfast while there is a well-stocked bar and a la carte meals served in the evenings. Set on the edge of the Brecon Beacons, Craig Y Nos Castle is the perfect location for those seeking a romantic and rural setting for their accommodation in Wales. The former home of Adelina Patti, the once world famous Opera Singer, Craig y Nos Castle offers interesting historical tours – free for all guests staying at the Castle. If you wish to explore the great outdoors, you can choose from a number of local walks directly from your room at the Castle. There are also plenty of excellent excursions only a short drive away and the Castle offers accommodation in Wales for those seeking a variety of activities or just a venue to rest and relax. Nestled in the Brecon Beacons National Park and surrounded by mountains, Craig Y Nos Castle is one of the most romantic wedding venues in Wales. Craig Y Nos Castle is renowned for its famous Adelina Patti Theatre - an ideal setting for your wedding ceremony. Have your welcome drinks in our Nicolini Lounge, followed by your wedding reception in our conservatory. Spend the evening dancing the night away in our separate function room and enjoy use of the Castle and its grounds on your special day, with your guests also being able to stay overnight. No event is considered too big or small at the Castle. We have a range of wedding packages to suit every Wedding Couple. 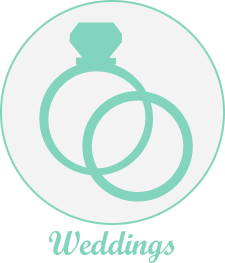 Book a viewing to discuss your ideas with one of our full time wedding planners. www.craigynoscastleweddings.com and you can check wedding dates availability here. Craig Y Nos Castle caters for Dog Friendly Accommodation in Wales, having our own dogs Jack and Sheeba in the Castle grounds to welcome you to their Castle. We also welcome cats, birds and many others within your rooms, making for great pet friendly holidays at Craig Y Nos Castle. The Castle is surrounded by the Brecon Beacons mountains, it is also close to Henrhyd Waterfalls and backs on to Craig Y Nos Country Park where there are acres of fields to play in. We are described by many of our guests as the most dog friendly accommodation in Wales, if not the whole of the UK! 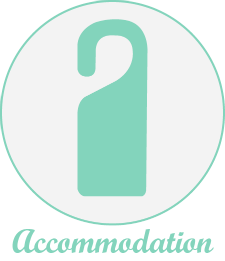 Great dog friendly accommodation in Wales within easy reach of lawned gardens or the Country Park for even more adventures! Relax in the Patti Bar, feet up and your dog by your side; what more could you want for a dog friendly B & B break? 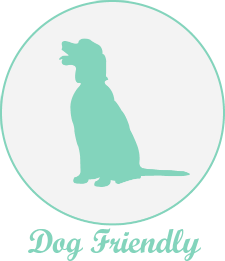 To find out more please visit our sister site, www.dogfriendlywales.com where you can also check B&B availability. Alternatively, you can enquire directly to reception here. Craig Y Nos Castle is well renowned for being the Most Haunted Castle in Wales, and having been visited by UkLivings "Most Haunted" TV we are well on our way to preserve that title. Numerous other TV shows have also filmed Ghost Tours at the Castle - we do a number of different Ghost Themed Tours to suit all budgets as well as different styles of Tours. All of the Tours culminate at Halloween with our Castle spectacular every October. 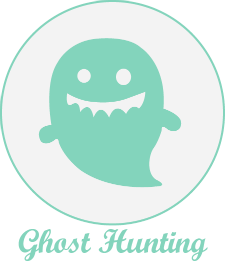 We run a sister site specially for any would be or professional ghost hunters, you can find more information at www.mosthauntedcastle.com or you can check the availability for our current planned ghost hunts. 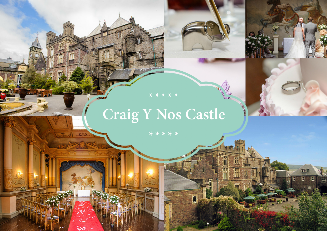 Craig Y Nos Castle holds a variety of annual events througout the year including Valentines Day Dinners at the Castle, Mothers Day Dinner, Fathers Day Dinner and Halloween and Christmas and New Years Eve Specials. During the year we also hold our events Brides Day Wedding Fayre. We also hold various once off events and performances in our Theatre. Craig Y Nos Castle is best known for its Welsh Castle Weddings, its Dog Friendly Accommodation, its Ghost Tours and its Events. Choose from the images and headings below to take you straight to the most appropriate pages.